OK, so let me just go on a bit, about the best dining experiences we had all week. 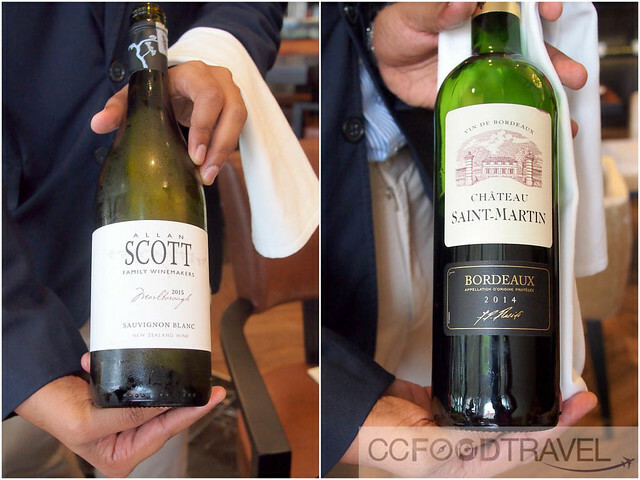 Brasserie 25 @ Hotel Stripes Kuala Lumpur, Autograph Collection. I’m not one to rave about hotel dining, but this place was certainly more than rave worthy. From the service, to the cocktails and food, it was all good. 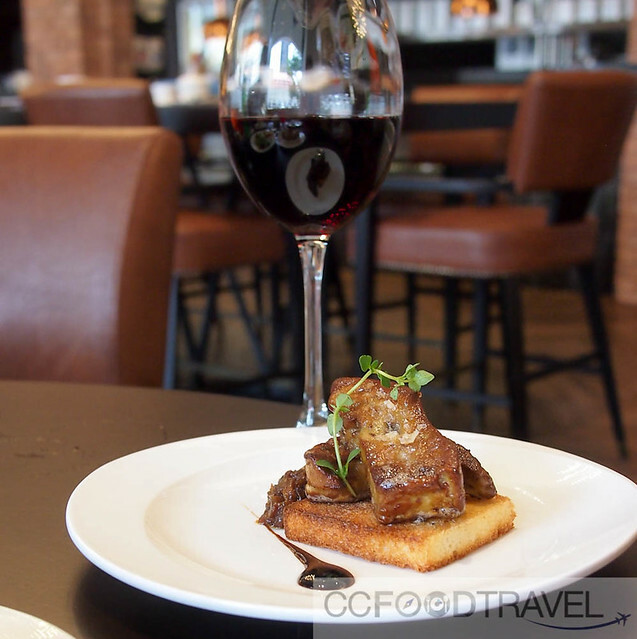 Alongside being child friendly, Brasserie 25 has a much-needed laid back vibe in the heart of the city, and warm rustic yet contemporary feel to it. Well balanced cocktails with just enough subtle spices and natural elements to pack a punch. 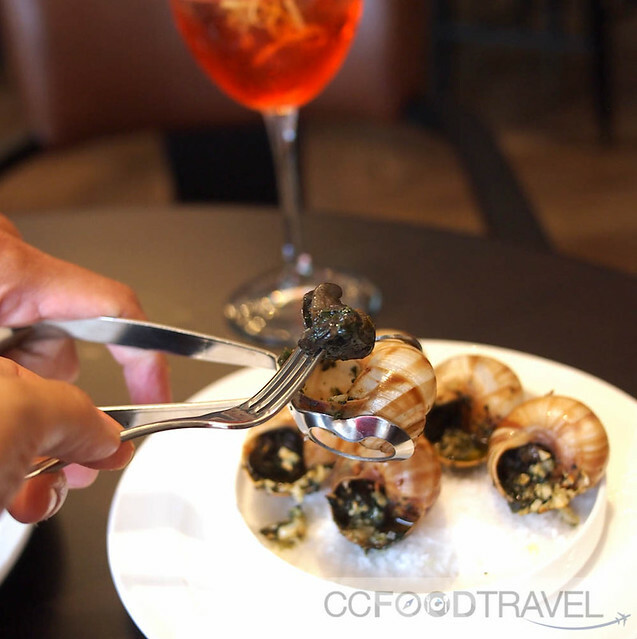 Succulent Burgundy Escargot laced with herbs and garlic.. incredibly addicted to the slight chewiness and mineral flavour of these dark herbivorous morsels that live in the earth. Smoked Salmon, Salad with Pommery dressing – we hardly rave about salads but this Pommery dressing was just a delight to digest. Balanced balsamic vinegar and mustard, it was just the most subtle drizzle of flavour to blanket the smoky salmon in. Also a fantastic version of the French Onion Soup, it was like Brasserie 25 could do no wrong. 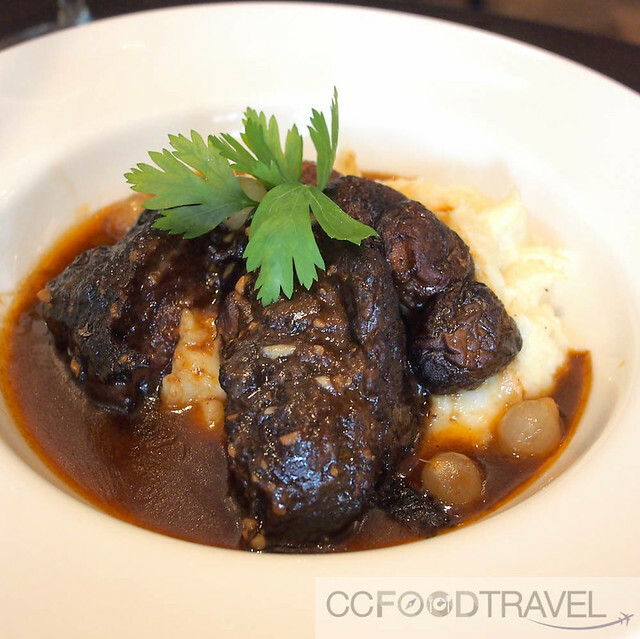 I think subtle flavours and balance is key, and this restaurant definitely had a firm grip on its cuisine. 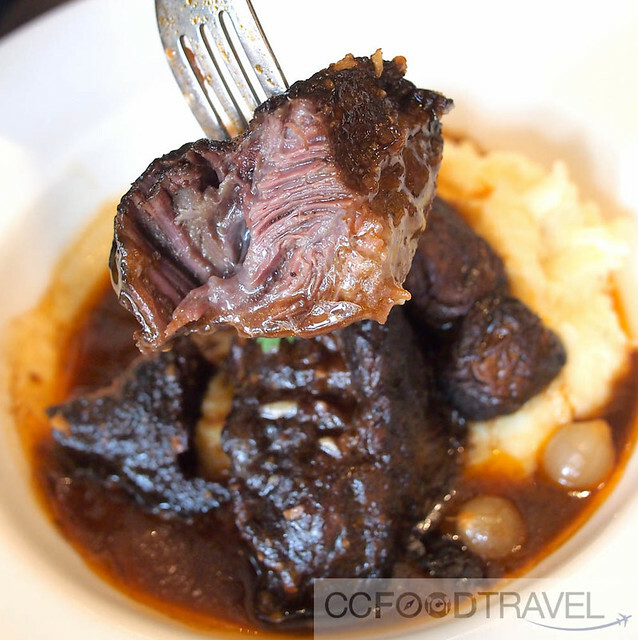 A commendable selection of house pouring wines..
Foie gras – slightly overcooked but the onion marmalade was sublime..
Braised Beef Cheek that was wobbly, fall off the bone tender, and an amazingly buttery, chunky mash that had us wishing we ate less of the carbs! Loved the soft, rendered fatty bits.. so succulent! Lamb chops – not gamy and again a good medium rare. Superb flavours in that same, signature, addictive mash! 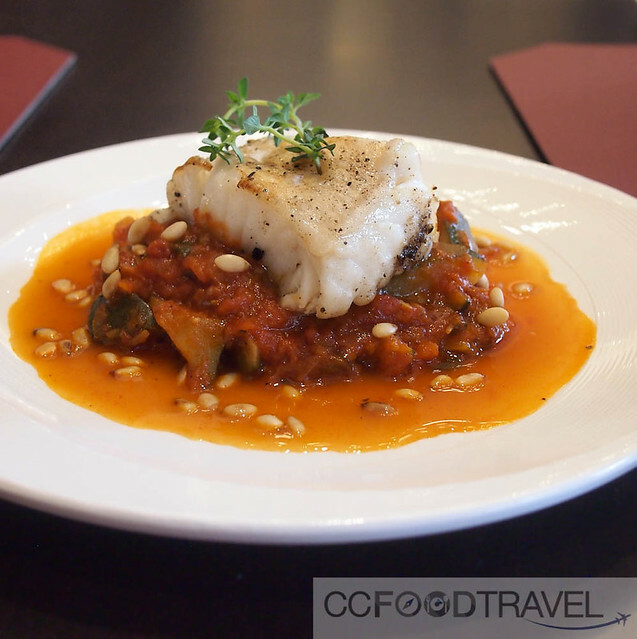 Pan roasted black cod on a bed of ratatouille – the fresh explosions of eggplant, zucchini, yellow squash, red bell pepper, and yellow bell pepper complemented the toothsome cod to perfection. 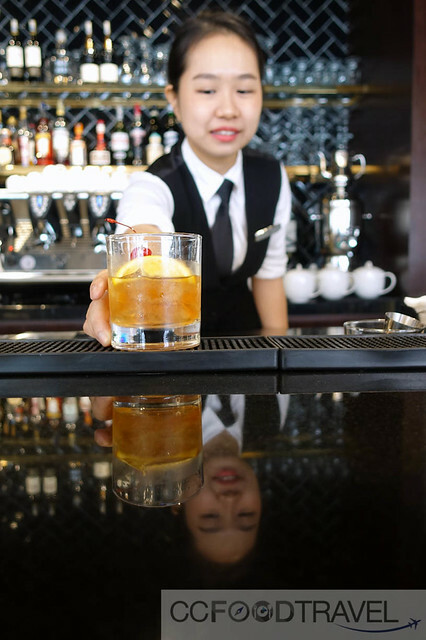 The Old Fashioned – strong, full on, yet subtly balanced in flavour. Props to the mixologist once more! 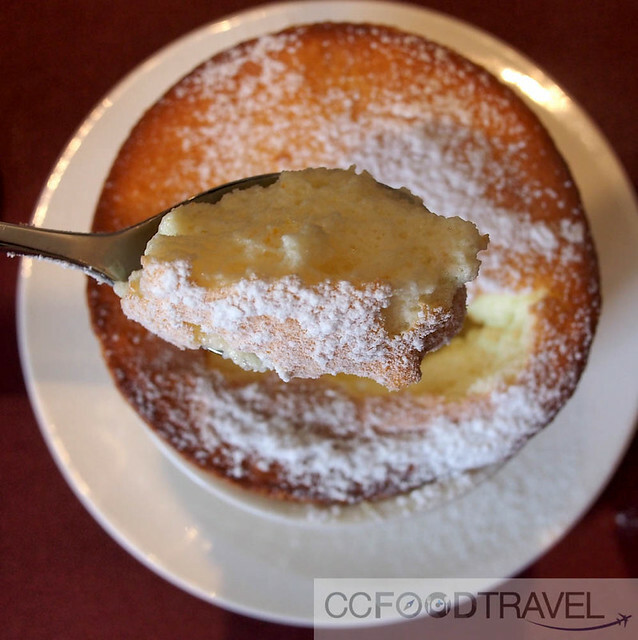 A fluffy, airy souffle that stood high and proud had us singing its praises. Perfect specimen if we ever saw one. The crepe suzette was drowning in too much sauce but our baby appreciated it, so it seemed! All in all, a fantastic dining experience. The easiest way to find Hotel Stripes Kuala Lumpur, Autograph Collection is along one of the side lanes of The Row KL. Definitely worth seeking out. We heard they have popular Le Gouter (french afternoon tea) – 3pm to 6pm which we might check out soon. Stay tuned! Previous articleNobu KL’s Sake-pairing Omakase is a Must Not Miss!